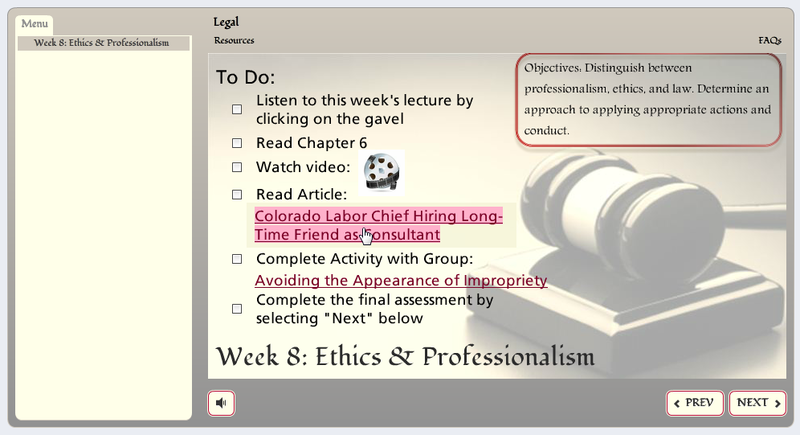 So I've designed this course that includes hyperlinks to documents within slides. I made the hyperlinks red to complement the color scheme in the course, but everytime someone "hovers" over them, a pink glow happens. Keep in mind I've tried all sorts of manipulations with the hover states, from deleting them altogether to changing the hover state background color. All it does is still gives off this pink glow when you hover over the red hyperlink (YUCK!) and still implements whatever hover state you design at the same time. Anyone else have issues with this? Is there a way to change that hyperlink glow? I've even messed with the theme on the master slide and can't seem to figure out where this ugly pink is coming from. And you've looked at the color scheme? If yes, can you post a pic or a single-slide story file for us to look at? Hi, Holly! Good to see you also! Easy solution would be to not have the actual text be the hyperlink. Put transparent shapes over your link-looking text and attach a URL to the shapes. Doing some more experimenting also . .
Hmmmm, this is intriguing. I shall subscribe to your newsletter, LOL. LOL back to you! Beware what you subscribe to. So far it looks like the glow is something you can't remove (hope I'm wrong). Looks like the glow is a lighter shade of whatever you have set for your hyperlink color. Also went to the player itself and the color editor there. Don't see anything obvious yet. Wonder if a feature request is needed here. You could use a trigger instead of actually adding a hyperlink to the text. This can be done using the following procedure. 1. First remove the hyperlink from your text by selecting all or part of the hyperlinked text, right-clicking and selecting Remove Hyperlink. - Object: (Text box that content the hyperlink). The above steps can be used to assign a hyperlink to any object when you don't want the appearance to change when hovered over. Thanks David! I'm working through how to use either yours or Gerry's method but still give the user feedback much like how they would receive when clicking on a regular hyperlink. You could also use a hotspot. If you need visual feedback when the link is hovered over, creating different states for the text button can be used. Please try the following. 1. Select the text box containing the hyperlink trigger (see my other post in this thread). 2. Select the States Tab (bottom of editor), then the Edit States button. 3. To add a hover state, select the New State button (sheet of paper icon) from the States tab and select 'Hover' from the drop down. 4. With the hover state thumbnail selected (yellow box around the hove state thumbnail), simply change the color for the text from the Home tab --> Font container. 5. Select the Done Editing States button from the States tab and Preview the slide. The cool thing about Storyline object States, is that you can modify most all aspects of the text or object that is select; size, color, rotation, outline, fill..... the options are near endless. While I haven't used hyperlinks, is the over state simply a opacity % of your red?? 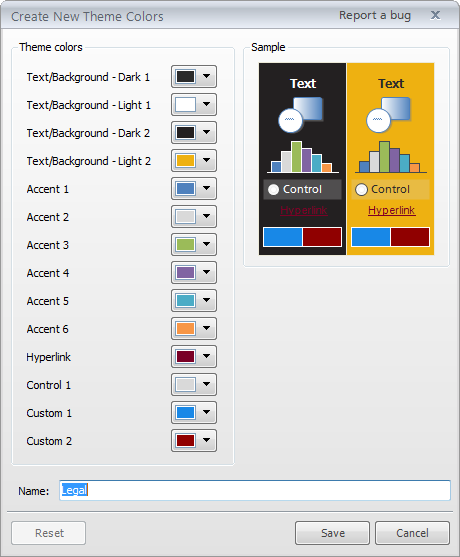 Try changing the color of custom color 2 - see if that makes a difference. Yes. When creating custom color schemes the over state fill color for hyperlinks is the same color as the hyperlink but with an 80% alpha (transparency) applied. If that is so, why is that when I changed my hyperlink text color to black, the over state fill color remained a bright lavender? If it was 80% opacity should it not be a shade of grey? Yes a light shade of grey should appear. I tested this on my system. There might be some other coloring that has already been applied to your hyperlink text. As a test, try creating a new text box with text and add a hyperlink after highlighting the text. Hi Nicole - this might be a stupid question but how are you changing the color of your hyperlink text? Are you using the font editor on the slide or are you changing the color in the Design color theme? Because I have found that if you change the color using the font editor on the slide and do not actually go into the color theme and change the default color for the hyperlink, it gives you odd results. That and.. making sure the hyperlink text is in its own separate text box and assigning both (as stated above) a trigger for the 'jump to url' and another trigger to change the state on mouse hover of the box with the url text in. You will need to make a hover state of the url text box with the just the text colour changed to what you want. It would be great if the fill colour could be controlled and customised (and disabled) in future versions. From a graphic design perspective this is not good. I set the hyperlink color in the Theme Colors to whatever I want the highlight color to be based on (this is regardless of what I want the Hyperlink text color to be). If I don't want the glow to be obvious, and if I am using a solid background, I figure out a way to get the highlight to match the background. I create the Hyperlink which creates a link using the theme color. I manually reset the color of the Hyperlink text in the same way I would any regular text. This way the color of the Hyperlink can be one thing while the highlight color can be something else entirely. I am not sure if this would work for you, but it has generally worked well for me. The only thing I have not yet figured out how to do is to get the highlight to leave the Hyperlink when I am using multiple hyperlinks in one text field when the mouse does pass over the one currently highlighted. I have managed to create a drop down list that can have everything highlighted as long as I never mouse over the previous selections. Very frustrating and I am still trying to find a way around this. this color is brightest tone of the main hyperlink color (see hyperlink-color.png in attachment). Hi Ivan - This thread is a bit dated, but thanks for chiming in to share with the community. "When I am using Hyperlinks I do the following: I set the hyperlin..."